From QlikView to Qlik Sense, Emesa found a way to improve analysis to a 1-click process. 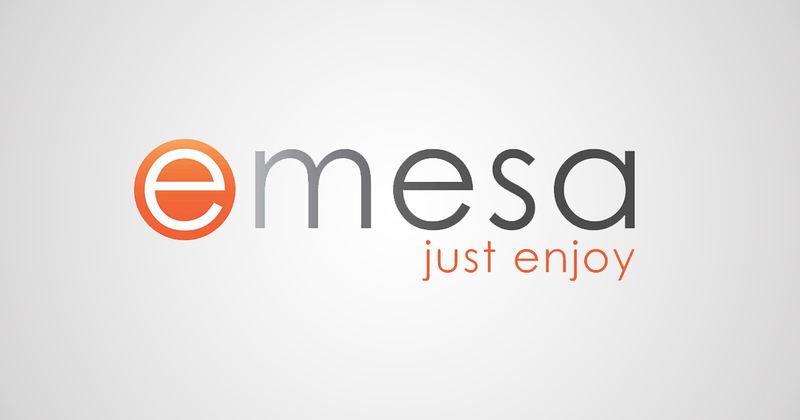 Emesa is an international e-commerce brand that is continually improving the online shopping experience in the Netherlands, Belgium and France. The company is the Dutch market leader in the travel and leisure sector with millions of website visits per year and millions of app users. Emesa keeps up with the competition by constantly innovating and creating new sales channels for their business partners while also working hard to make the online shopping experience more exciting. Emesa wasn’t new to Qlik, the company had been using QlikView since 2014 in order to gain flexibility in extracting data, new data visualizations and more insights from their data. But the time had come to expand and grow Emesa’s Qlik environment. Thanks to Qlik Elite Partner Victa (@victabv), Emesa started creating QlikView dashboards to measure e-commerce auctions and turnover rates. But, instead of limiting the capabilities of Qlik to just the Finance department, the company sought to expand Qlik to multiple departments including Operations, Sales, Customer Services and others so they could gain access to the dashboards and insights within. Taking a closer look at all of the departments who didn’t have QlikView installed, Victa realized that Emesa’s departments had begun forwarding email reports, which led to a decentralized data distribution system. As a result, Emesa made the decision to regain organizational control and structure by upgrading to Qlik Sense. Because Emesa was already a Qlik customer, they regularly attended Qlik roadshows to stay up to date with Qlik products. When Qlik Sense was first released, Emesa was not ready to take the leap and transition from QlikView. But once the business was able to tame the reporting sprawl, Qlik Sense 3.0 became an option. The company was impressed by the Visual Data Preparation, time-aware charts and visual search capabilities, so they decided to convert existing QlikView licenses to Qlik Sense. Working with Qlik Sense, Emesa learned how straightforward the tool was to use and apply to their business. To test out the new product, Emesa created partner dashboards to contain all partner-related data that already existed, but now lived in one place and was easy to reference. By creating an application where all partner information could be located and accessed easily, Emesa’s BI team was able to get a feel for the capabilities of Qlik Sense. Emesa has over 1,600 partners and many require weekly updates. When Emesa used QlikView, these updates took about two hours to create but with Qlik Sense, it became a one-click task. Working with Qlik Sense applications, Emesa also discovered the ‘Data Storytelling’ feature. Emesa users can now tell a personalized story with their data that’s easy to gain insights from and connects their conclusions to data-driven insights. Emesa took a leap with Qlik Sense and from that, gained many more advantages than they did from their previous Qlik deployment. Developing apps housing data from over 1,600 partners was faster and saved time for the BI team. The look and feel of the dashboards are easy to use and understand, allowing everyone in the company the ability to quickly edit and change applications as they see fit. As a market leader, Emesa keeps innovating and finding data insights that can propel their business further. With Qlik Sense, Emesa found how easy it can be to analyze and store data in order to keep moving forward.